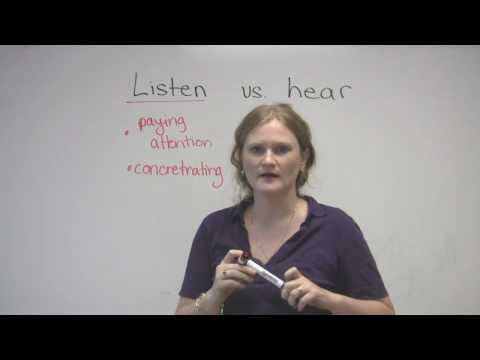 English Vocabulary - Listen and Hear - What's the difference? Are you listening? Can you hear me? What's the difference between LISTEN and HEAR in English? Watch this free lesson to find out.